A Perfect ''Diamond in the Rough'' for your Restoration & Rehab Ideas! 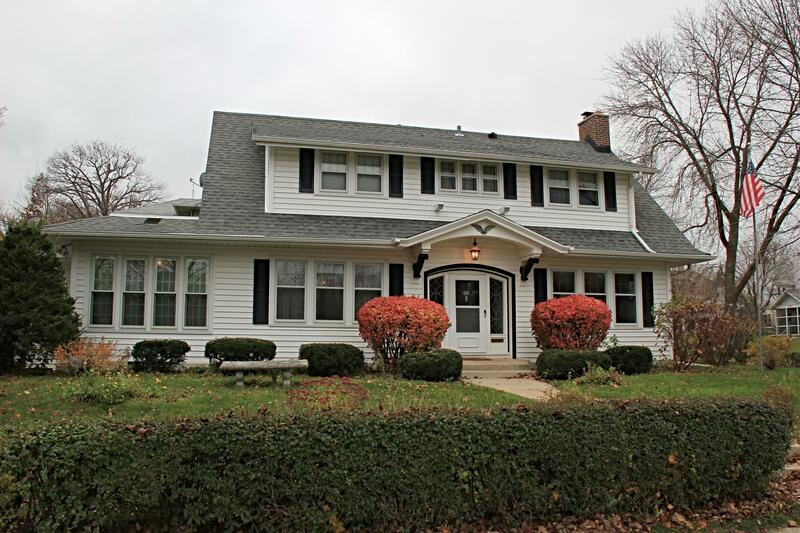 This Beautiful Classic Home Features Fabulous Architectural Details & Spectacular Floor Plan. Generous Foyer Welcomes You to a Huge Great Rm w/ HWFs & STUNNING Original Glazed Tiled Natural FP. Generous DR featuring Beautiful BIC w/ Architectural Niches, Gorgeous Leaded Glass Windows, Tray Ceiling & HWFs flows into a Spacious Sunroom w/ BIC & CT Floor, Tray Ceiling & Generous Windows for lots of light. Kitchen w/ Classic Original Cabinets & HWFs. Huge MBR w/ dual closets & potential for MBA. Full Bath w/ updated vanity & tiled floor. 2nd BR features HWFs & access to a roof patio. Generous 3rd BR w/ lots of windows. BONUS Rare Main Floor Spacious Laundry/Mud Rm w/ shower stall & W/D hookups. AMAZING POTENTIAL!